Powder-Free Exam Gloves, Non-Latex, LARGE, 50/BX, Purple. Ambidextrous examination gloves come powder-free and are 100 percent synthetic nitrile polymer for individuals allergic to natural rubber latex. 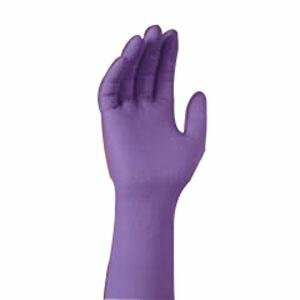 Purple color lets you immediately identify these gloves from latex and other gloves. Textured fingertips help increase grip sensitivity, wet or dry. Strong, durable with good tactile feel.